First of all, what is SEO? SEO stands for Search Engine Optimization. As the name implies, it is literally optimizing your website to make it more “findable” for search engines like Google, Yahoo, and Bing. Many different factors affect this, but blogging for SEO can help you improve several of these things in one shot. So Why Should I Start Blogging for SEO? The first reason to start blogging for SEO is keywords. Keywords are words or phrases that people use to find a site. When someone types a term into a search engine to locate you, he or she is using a keyword for your site. The more times you use that term in your site, the higher you will rank for it, and the better your placement will be on a search for that keyword. Your blog entries should revolve around those keywords. In fact, this is a great place to start if you’re having a hard time finding blogging topics. Make a list of words people would use to find your site, and revolve your posts around them. Then, use those words in the title of your blog articles, in the body, and in the tags. #Blogging for #SEO helps you rank higher for your keywords. Next, blogging will help you to have indexed pages. This is a term that refers to the number of pages the search engine has stored for your site. Since each blog entry counts as a new page, you can quickly improve your number of indexed pages just by blogging a few times a week. If you have more indexed pages, Google and other search engines see you as a more established site and will rank you higher than sites with fewer pages. Fresh content is another reason to start blogging for SEO. If you go a long time without adding content to your website, it grows stagnant and less appealing. Search engines like new content and actually visit your site more frequently if it detects additions. A blog entry counts as an update to your site, so you’re hitting another mark with each new article. Lastly, blogging for SEO is good for inbound links. Many users do not realize that search engines rank pages based on the number of links it finds from other sites to that site. The more links you have to your site, the better. As more people learn about your blog, they will share your information and link to your most popular articles. Each of these links will improve your ranking for search engines. 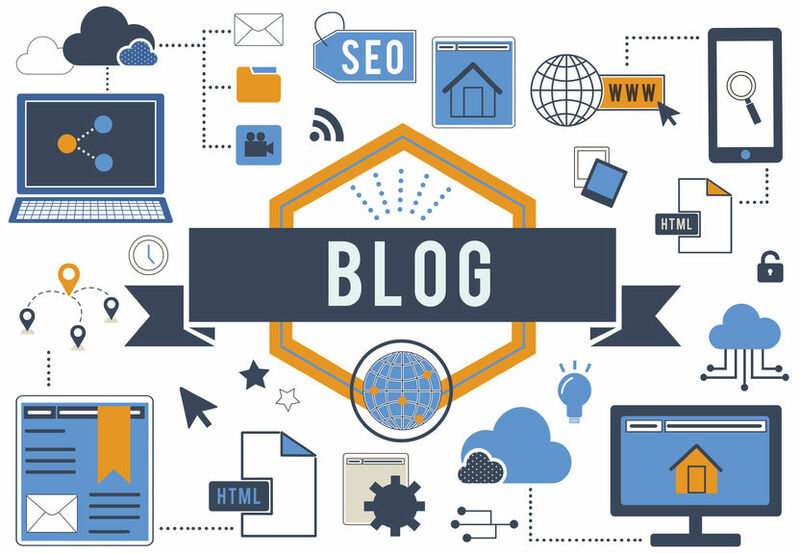 These are certainly not the only ways that blogs and SEO are related, but it gives you an understanding that you can definitely improve many aspects of your page rankings with one powerful tool. It also doesn’t hurt to use a plugin while you’re blogging like WordPress SEO by Yoast. This tool will guide you as you are writing your blog post, helping you improve each post’s SEO. The more often you post to your blog, the more it will help your SEO. Get that fresh content out there, and keep swimming along!